MANILA (UPDATE) - President Rodrigo Duterte on Thursday admitted that he indeed paid a visit to a hospital for a medical check-up, amid persistent rumors about his health. Duterte said he went to Cardinal Santos Medical Center in San Juan City to undergo tests, prompting him to cancel his meeting with the Cabinet on Wednesday. “Three weeks ago I had my endoscopy and colonoscopy. Then I was about to have sana ngayon yung Cabinet meeting yesterday. 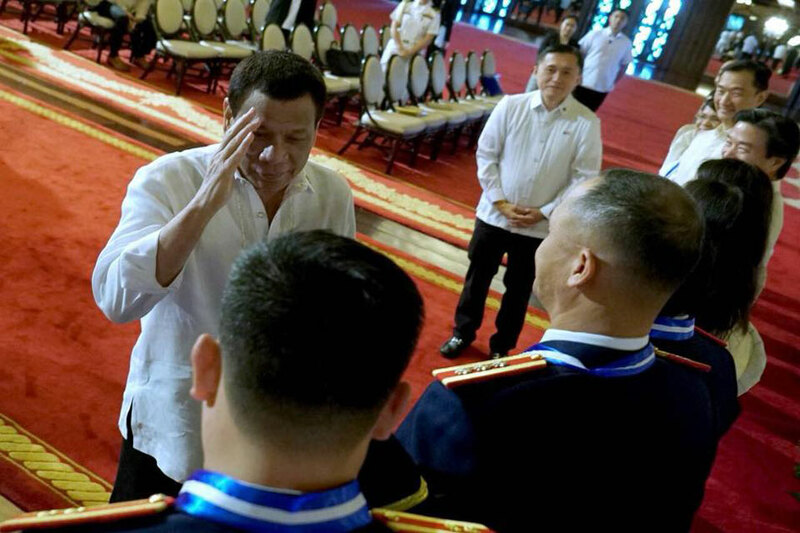 But yung reading ng aking, somebody advised my doctor to repeat and get some samples there,” Duterte said in a speech before members of the Philippine Military Academy Alumni Association, Inc. in Malacañang. Duterte last week said he recently underwent endoscopy and colonoscopy. He said he needed to undergo these procedures because he suffers from Barret’s esophagus, a complication of gastroesophageal reflux disease. Duterte made the revelation despite the firm denial of Presidential Spokesperson Harry Roque earlier in the day that the 73-year-old chief executive was only at his residence to take the day-off. Rumors about Duterte’s health circulated anew after he skipped Wednesday’s Pagcor event at the Palace and was represented by Medialdea. Special Assistant to the President Bong Go had also quashed rumors the President was “admitted” in a hospital. P5-billion check from the state gaming firm was turned over to the Palace. “The President just took a day off. I don’t think he was fatigued. He just realized he has not had a day-off,” Roque said in a Palace press briefing. There have been persistent rumors about Duterte’s health. One of his political enemies, communist leader Jose Maria Sison, had previously claimed that the supposed darkening of the President’s face was a sign of a serious kidney ailment. The President denied Sison’s allegations.